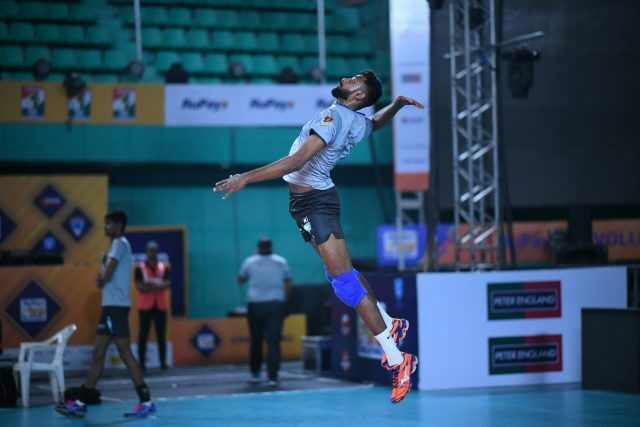 After a dominant performance in the opening game of the league Mohan Ukkrapandian-led Kochi Blue Spikers will face Ahmedabad Defenders in their second match of the RuPay Pro Volleyball League on Feb 6th 2019. After a spirited performance on February 4th against Black Hawks Hyderabad, Ahmedabad Defenders will be hopeful they can continue the momentum and come out stronger against Kochi in their second fixture to be played at the Rajiv Gandhi Indoor Stadium here on Wednesday. 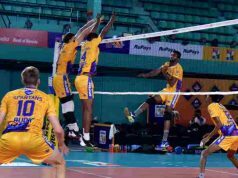 Kochi showed their mettle in the first match as the team’s core including Olympic Gold medalist David Lee, Manu Joseph, Andrej Patuc, Prabagaran S all came up with their ‘A’ game leading to a 4-1 victory against U Mumba Volley. 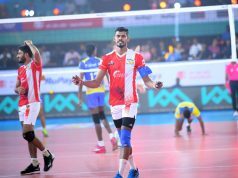 Ahead of the match, Head Coach TC Jyotish, “The team’s morale is high and we are really looking forward to play Ahmedabad who had a good outing against Hyderabad. Despite losing with a narrow margin, Ahmedabad can take many positives from their first encounter as the foreign imports Serbian Novica Bjelica and Russian Victor Sysoev scored 6 and 12 points respectively. 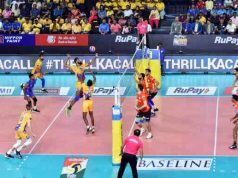 Young Sayyad Mubarak Ali scored five points displaying immaculate spiking ability and Gagandeep Singh showed his all-around ability with points on spike, block and serve. Ajay Jangra, Head Coach of Ahmedabad Defenders felt that the first match against Hyderabad showed their team’s never-say-die spirit. “I believe the first match was a see–saw battle, and there was little or no differentiator between the two sides. The live broadcast of the match will start on SONY SIX and SONY TEN 3 and live streaming will be done on SONY LIV from 6:50 PM IST on Feb 6th 2019.